Redeem Reward points, earn entries, get direct mail offers, and more! 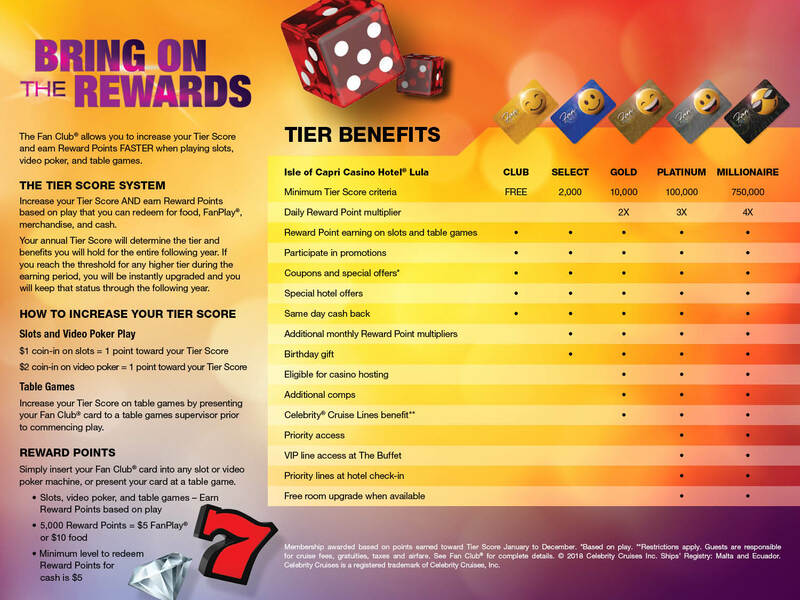 Additional monthly Reward Point multipliers, discounted pricing at all food outlets. Earn 2X Reward Points daily, every time you use your card! Earn 3X Reward Points daily, every time you use your card! Priority reservations, free room upgrade, private parking, and invitation to special events. Earn 4X Reward Points daily, every time you use your card! Membership awarded for tier score earned January to December. Table games will continue to earn comps based on play. Fan Club membership benefits may vary by location. 1Excludes Isle Casino Racing Pompano Park. 4Restrictions apply. Destinations are restricted to airports servicing Isle of Capri® Casinos properties or US domestic port cities for Carnival. Airfare credit may not be sold/transferred, and must be booked through an authorized host of Eldorado Resorts, Inc. All passengers must be 21 years of age, and are required to follow any airline or federal regulation. Eldorado Resorts, Inc. shall not be responsible for any transfers, additional charges, late fees, seat upgrades, re-booking fees, missed or canceled flights. Eldorado Resorts, Inc. and its subsidiaries shall bear no liability in association with guest travel. All benefits are subject to change at any time, without notice. 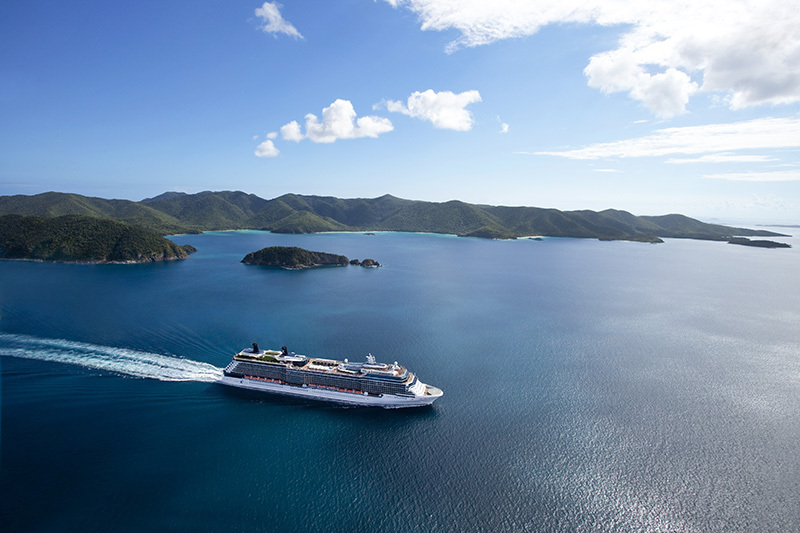 SAIL BEYOND BORDERS℠ on one of Celebrity Cruises 13 award-winning ships, each offering unique experiences in 300+ destinations on all seven continents.